Following the opening ceremony, SGW Bloodcurdle as given a tour of the facility by the chief Mek and his team. 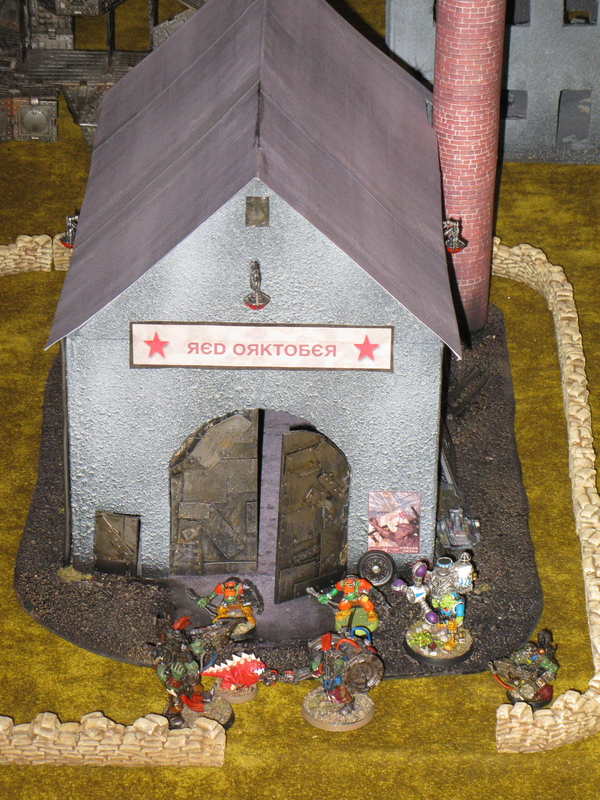 Built using state-of-the-art technology (stolen from others) as well as advanced materials (looted from various Imperial planets), the Red Orktober Traktor Faktory features a full automated assembly line, with grots standing in for actual automation. It is capable of producing most anything, and especially anythings that look and behave quite differently from designed, intended and/or previously produced. 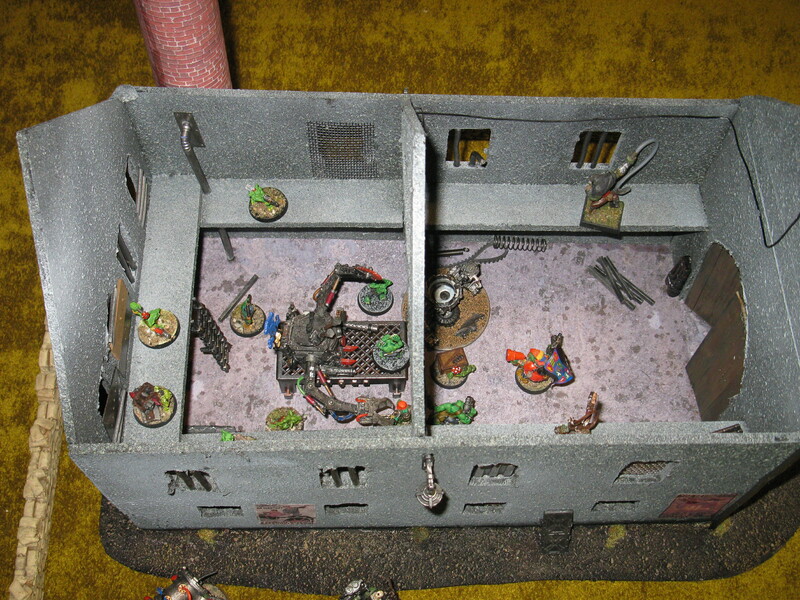 In a testimony to superior Orkish Mek engineering, the efficient prodding of the Grot Herders, and quite a few safety-shortcuts, the entire facility was completed a mere three months after its predecessor faktory was destroyed in a tragic Shok Attack Gun accident. Very funny post and a great piece of scenery. 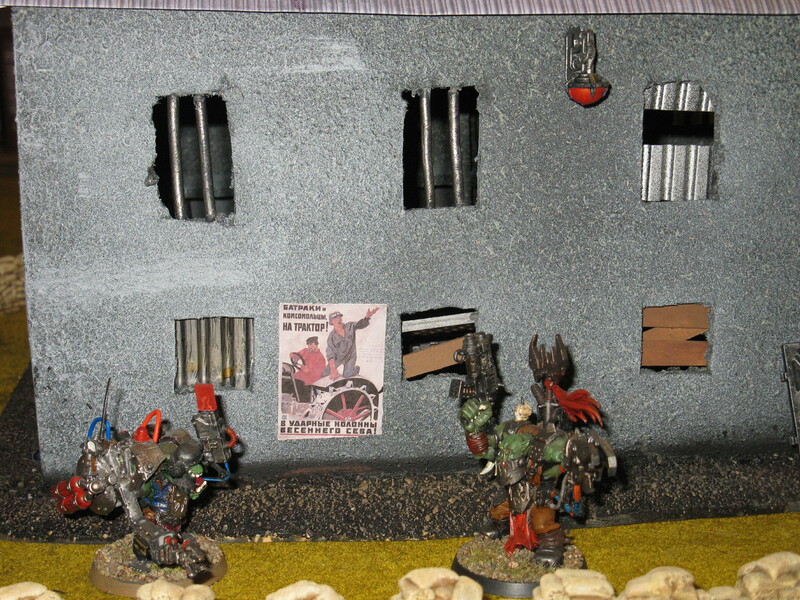 One day I hope my little warband will be able to steal err I mean build such ‘uge faktorees.